This is not exactly teacher related but I can see some great ideas evolving from it especially if you have a campus style school. What it is is fun, free, family fun....totally free... I promise. Our family has started Geocaching and we have already done it 3 times in 2 days. It is so simple! Here is a picture from our first 'find'. 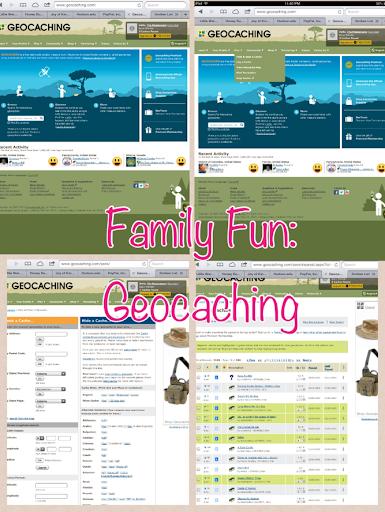 The first thing you need to do is go to www.geocaching.com and register. So far we are just doing the free membership but if we keep doing it we may do the paid version. One the next page you can type in your address or zip code and specify a mile radias. I did 15 miles and we got over 3000 results.....now that's a lot of fun!!! OK step 2 is to download the APP to your phone so you can navigate to each find. There is an official app but it cost money. 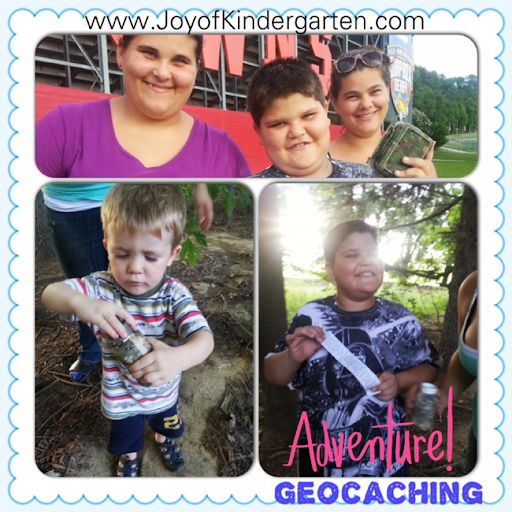 I used an APP titled C.GEO and logged on with our Geocaching name and password. The only thing I couldn't find on the free app was a place to log that we found a site. It was not a big deal though, we just logged our finds when we got home using the computer. One more thing......super important....you also need a pen so you can add your name to the list that you found the site. We forgot on the 2nd one and played rock/paper/scissors on who was going back to the car for a pen!! That's it...you are ready for your first adventure!! 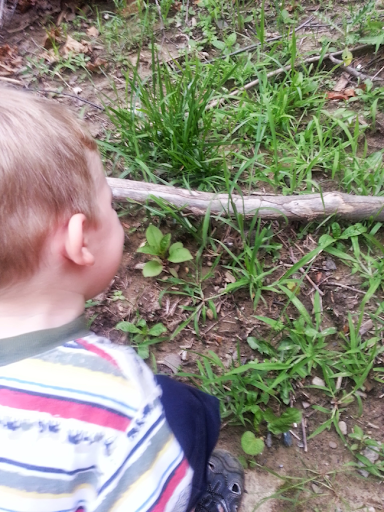 I'm not sure you can see it, but Bryson is looking at a teeny tiny baby rabbit by the branch. I hope you have as much fun as we did!!! I've been geocaching for over 10 years, so I was thrilled to see your post! There are things you'll discover that you can actually use in your classroom. You can create a class travel bug and follow its adventures, or even just find one that you want to follow for starters. I'm glad your family had such a good time! Keep On Caching! I don't geocache but I do letterbox which is kind of the same thing. We hunt the boxes and then stamp our stamp in the logbook of the box and stamp the boxes stamp into our journal! We really enjoy it! I have never geocached is that where you leave something in the box when you find it?? My husband and I did this a few years ago and it was a blast! We got busy with kids and haven't gotten back to it yet, but my son is turning six soon and is probably old enough to have fun with it now! Thanks for the reminder!